Cascade AIDS Project (CAP) is a nonprofit offering full-spectrum services to test for HIV and assist those living with it. Their mission is to support and empower all people with or affected by HIV, to reduce stigma, and to provide the LGBTQ+ community with compassionate healthcare. They support clients through core and critical life services, including free HIV testing, housing and rent assistance, and support groups and community building. CAP has spent the last 35 years leading providing compassionate healthcare and leading the charge to end stigma around HIV/AIDS in our community. We are excited and grateful for the opportunity to join the conversation and lift up the voices of this marginalized community. In honor of our 15th anniversary, we opened up our application to past partners and took on 3 nonprofits, instead of just one. Mercy Corps Northwest was our 2nd ever partner and they believe in the ability of all people to thrive, not just survive. Adelante Mujeres, meaning Women Rise Up, is building a more just society by empowering latinas to lead. Oregon Active provides adventure therapy to people with disabilities and other life-challenging conditions. The Girls, Inc. mission is to inspire girls to be strong, smart, and bold. Their vision is empowered girls and an equitable society. Bradley Angle’s mission is to serve all people affected by domestic violence. They do this by placing people experiencing—or at risk of—domestic violence at the center of their services and providing them with safety, education, empowerment, healing, and hope. NAFY’s mission is to work in partnership with the community to prevent youth homelessness and provide young people experiencing or at-risk of homelessness the resources and skills needed to lead healthy, productive lives. 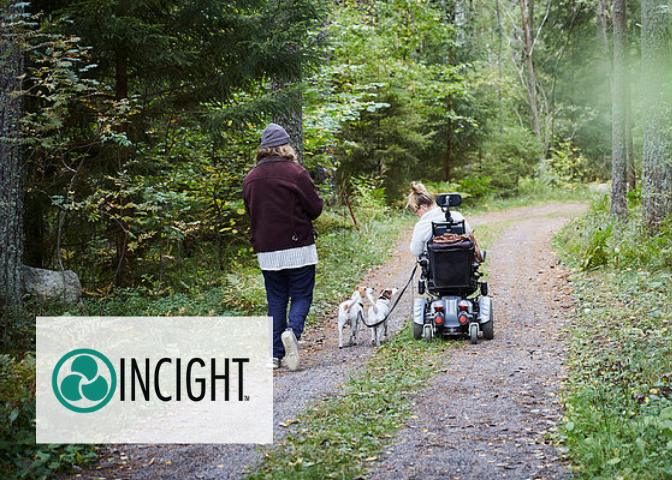 Incight’s mission is to Unlock the Potential of People. They serve individuals who are living with barriers or facing obstacles that are preventing them from reaching their full potential. In celebration of Levé’s 10th anniversary, we had an ambitious goal to raise $10k for 10 nonprofits. We brought back our past 9 nonprofit partners and our organization was the 10th beneficiary. Greater Than’s mission is to empower students from poverty-impacted communities to thrive in school, college and career. Meals on Wheels’ mission is to enrich the lives of seniors, and assist them in maintaining independence, by providing nutritious food, human connections and social support. For seriously ill children and their families, every moment is precious. At the Children’s Cancer Association (CCA), their goal is to transform as many of those moments as possible—with joy. The Schoolhouse Supplies mission is to support public education in the Portland area by providing free school supplies to students in need. Friends of the Children provides a salaried, professional mentor, called a Friend, for their entire childhood, from kindergarten through graduation. 12.5 years. No matter what. The YWCA of Greater Portland’s mission is to eliminate racism, empower women, and promote peace, justice, freedom and dignity for all. At Mercy Corps Northwest, they believe that everyone should have the opportunity to improve their life regardless of their background. They are building more just, productive and resilient communities in the Pacific Northwest. p:ear builds positive relationships with homeless and transitional youth through education, art and recreation to affirm personal worth and create more meaningful and healthier lives.